This year, on Sept. 12, PBS will air All The Difference, a documentary from Academy Award-nominated filmmaker Tod Lending, Joy Thomas Moore and Wes Moore. The documentary follows the stories of Robert Henderson and Krishaun Branch as they fight to survive in the Englewood section on the South Side of Chicago. It shows the ups and downs of each young man’s education, as well as the powerful impact of one grandmother’s support. For Robert, his fight started early. When he was just 17 months old, his father killed his mother. In that crucial time, his grandmother, Ona Mae Gooch, became his lifeline. However, at 62, Ona was tired. With only the last four of her 17 children at home, she had just finally started to see a slower life for herself. She worried about having to start over with such young children, but she knew Robert and his six siblings needed her. She knew she would do whatever it took to provide a good life for her family. As such, she decided to take them in and help grow their lives. Raising her grandchildren was going to be a challenge, but she knew she could handle it. Ona was no stranger to hardship. She grew up as a sharecropper in Mississippi, where she picked cotton and had to leave school in the 5th grade. Around 30, Ona decided to leave her abusive husband and move with her children to Chicago. Once there, she continued to farm on any patch of land she could find. She tended, supported, nourished and helped her garden thrive, much in the way she did with her family. In particular, her strength and effort helped Robert succeed. After graduating from an all-male college prep high school, Robert went on to pursue secondary education at Lake Forrest College. During one semester, he struggled in a chemistry class and sought out help from his professor. Robert's drive, which his grandmother instilled in him, helped push him to finish college. Ona has been there for all of Robert’s accomplishments. Towards the beginning of the film, he and Ona are shown sitting at the kitchen table while she goes through a box of old items. “Look at this junk I’ve got,” Ona says, handing Robert a piece of browned paper. “That’s not junk,” Robert chuckles. She had handed him his kindergarten diploma. “I keep this stuff for you to show your children one day,” Ona says. As a high school and now college graduate who’s teaching math in middle school in Colorado, Robert has a lot of “junk” to show his future children. And he owes a lot of that success to his grandmother, Ona, who made a difference in his life. This week's cool idea is Camp Pickett, a program of the Pickett Care and Rehabilitation Center in Byrdstown, TN. Through learning circles and other team activities, this summer camp nurtures relationships between children who attend the camp and Pickett Care's elder residents. Serving as an alternative child care service to help offset expenses for Pickett Care's employees, Camp Pickett started in 2008 to help enhance quality of life for the elders in the home. The program was featured in McKnight's Long-term Care News article, "Driving out loneliness through intergenerational relationships," from which this excerpt was pulled. As the summer progressed, something magical happened: elders and children taught each other great things. Elders passed down their wisdom in gardening, farming, and other things on to the children, while the children were able to teach the Elders how to use the Nintendo Wii and text on a cell phone. Camp Pickett morphed into a community all its own. In the first summer alone, elders, who were previously depressed and refused to come out of their room, were living a new lifestyle of purpose and enhanced well-being overall. Staff members saved over $18,000 in childcare expenses, and the home logged the equivalent of over $5,000 in volunteer hours. Not only was Camp Pickett a success, it was a new standard for intergenerational relationships for the entire company. This week's cool idea is Mind the Gap: Intergenerational Theatre Workshop, which helps foster meaningful dialogue among artists and audiences of diverse backgrounds and generations. Mind the Gap is a free workshop in which half of the participants are elders ages 60 and up and half are teenagers ages 14-19. Workshops are held twice per season at the New York Theatre Workshop (NYTW) as well as in residence at multiple community partner locations around New York City. Over the course of 10 sessions, participants work in pairs to interview each other and write plays inspired by their partner’s personal stories. Each workshop culminates with an invited presentation in which participants’ work is read aloud by professional actors. NYTW holds sessions of Mind the Gap in the Summer (July-August) and Fall (October-December). To say that Simone Biles is an excellent gymnast would be an understatement. 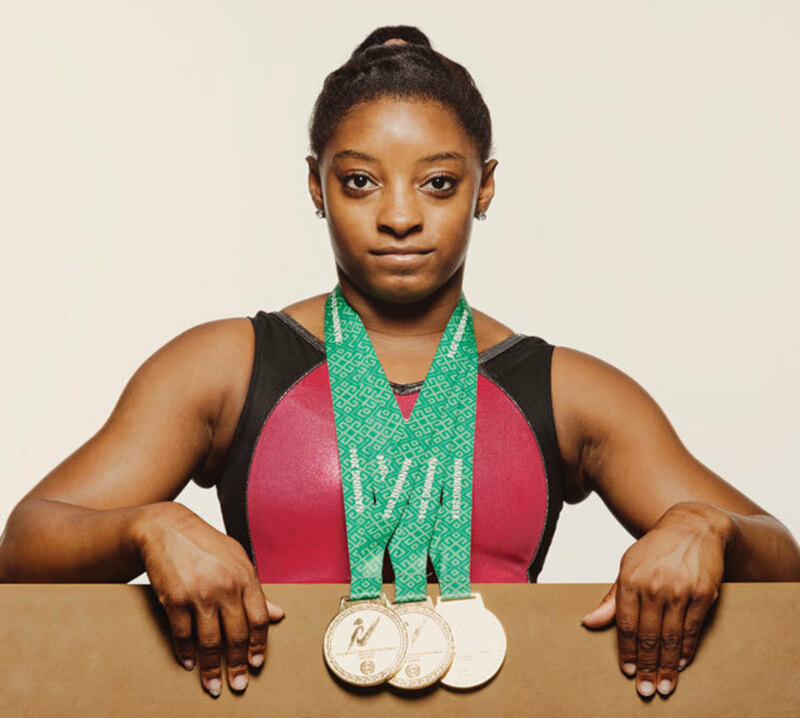 At 19, she is already touted as being the greatest gymnast in history, and she certainly has the resume to support it. Her career accomplishments include being the first female gymnast in history to win three consecutive world title championships and holding the record for the most world championship gold medals won by a female athlete. At the Rio Olympics, Simone will have the chance to establish her world greatness as she leads the U.S. Women’s team to hopeful victory. 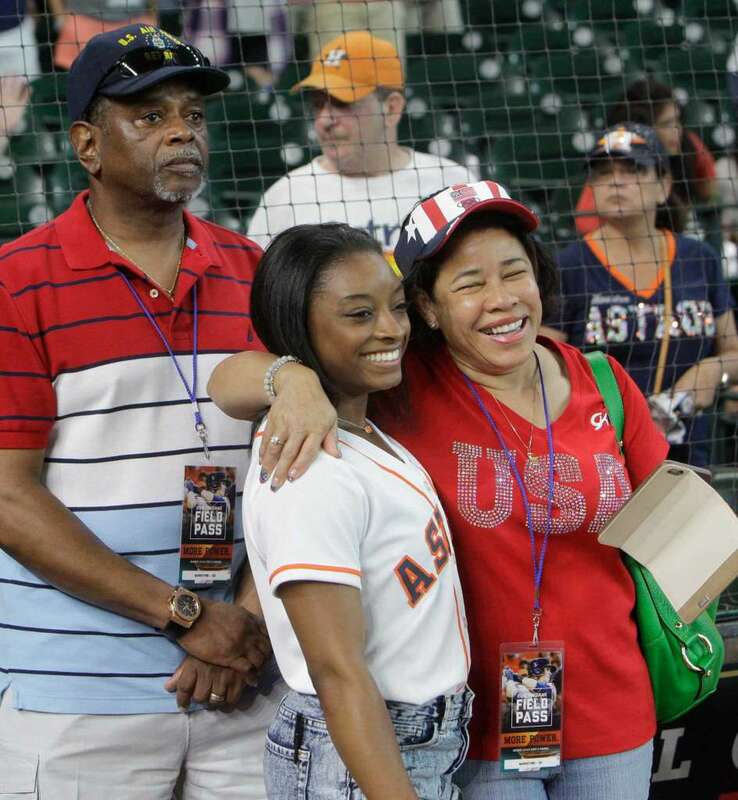 In the midst of growing attention and pressure, the two people most important people in Simone’s life – her grandparents, Ron and Nellie Biles – are there for her to lean on. In fact, they raised Simone, who’s been calling them “mom” and “dad” for most of her life. 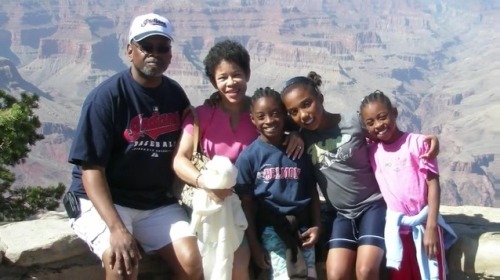 When her biological mother started using hard drugs and alcohol, Ron and Nellie intervened, traveling from their home in Houston, Texas, to Columbus, Ohio, to get their grandchildren out of foster care. When an attempt to reunite their grandchildren with their birth mother failed, Ron and Nellie decided to officially adopt then 5-year-old Simone and her 3-year-old sister, Adria. Simone’s two older siblings were adopted by Ron’s relative. Ron, a retired air traffic controller, and Nellie, a former nurse who now co-owns a chain of nursing homes in Texas, sent their two sons off to college, anticipating an empty nest. Nowhere did their plans include becoming parents all over again. But they adjusted. Nellie said her “heart just made room” to love her new daughters just as much as her own sons. As Simone’s grandparents strove to provide a loving, stable and structured home for their granddaughters, they created the perfect environment for the young women to blossom and work towards their goals. When Simone was 6, Ron and Nellie enrolled her in a day care class that exposed her to gymnastics. It was there she caught the eye of her current head coach, Aimee Boorman. It was Ron and Nellie’s support that allowed Simon to pursue her passion for gymnastics. Simone had to make a choice between staying in public school and being homeschooled in order to train full time as a gymnast. Ron and Nellie didn’t make the decision for her. When Simone decided the latter, her grandparents built a brand new gym for her to train at in Spring, Texas. Although Simone didn’t get her athletic gifts from her grandparents, what they gave her was just as special. The values they instilled in Simone – determination, humility and an appreciation of the small, good things in life – helped carry Simone this far. Another thing she treasures is family dinner every Sunday night. When Simone Biles makes her Olympic debut, the world will be captivated and inspired by her extraordinary talent, one made truly possible by the love and support of her grandparents.